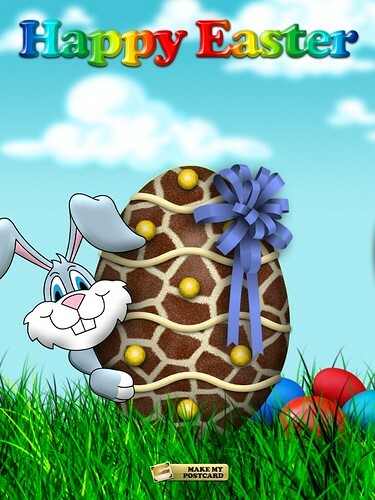 Make your Easter special with Dress Eggy HD from Punflay! Discussion in 'iPad Apps' started by Zacherena, Apr 12, 2011. Itâ€™s Easter and here comes Peter Cottontail dropping eggs in every basket! If youâ€™ve been thinking about sending an Easter egg to your loved ones, then we at Punflay have just the app for you â€“ Dress Eggy. We provide the eggs, the colors, the decorations, the message and even the Easter Bunny! All you have to do is paint an egg in your favorite color, decorate it â€“ polka dots, stars, stripesâ€¦ you name it, we have it â€“ and add a bow if you like. Wait! Thereâ€™s more! You can even choose from a colorful selection of wallpapers and complete your message with one of our pre-recorded messages or record your own to give it that personal touch. Your egg post is now ready to be express delivered by the Easter Bunny! And the best part is that you can create dozens and dozens of Easter eggs without repeating the designs! 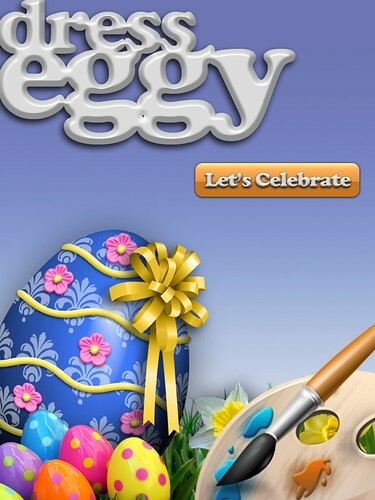 Dress Eggy HD for the iPad has been submitted to the app store and will be available to download soon! Dress Eggy HD for the iPad is out in the iTunes store.